Please find below different categories for Yacht Insurance, Yacht Lending and Yacht Surveying of frequently asked questions we hear when brokering the sales and buying of yachts. Feel free to Contact Me with any of your further questions regarding yacht sales so that we might help you in your next yacht purchase or sale. We receive many questions from clients and customers about yacht insurance, so we are offering some frequently asked questions and our answers to them. We am not a yacht insurance specialist, but we deal with yacht insurance issues and brokers enough to offer the information below. For more detailed information, we encourage you to contact any of the listed yacht insurance brokers below. They are all professionals we have dealt with over the years and we are confidant in their professionalism, integrity and knowledge. As always, don’t hesitate to Contact Us anytime about any of your yachting questions or needs. 1. Do I have to have insurance? We are not aware of any law that says you have to have insurance on your yacht, but if you have a loan on your yacht your bank will require it. Most marinas and shipyards will want a copy of your insurance binder to make sure you are properly insured. There are so many potential problems that are out of your control that we would always recommend having proper yacht insurance in place. 2. Like my car and house insurance, is it really just about the price when buying yacht insurance? No. You certainly should consider price, but your coverage details matter more in yacht insurance. We have actually read a number of yacht insurance policies and they are not always standard forms. Yacht insurance is different than car or home insurance, so know the details. Speaking of knowing the details, make sure you understand the legal jurisdiction of your policy! 3. So, is there anyway I can save money on yacht insurance? Yes, there are several ways. First, be realistic on what insurance you need. Navigational territory, or when and where you use your yacht, is a good area to review. You will pay more to use your yacht in Florida during hurricane season, so maybe consider a cruise north in the summer months. If you only plan to cruise the Chesapeake, then don’t insure for the whole East Coast and the Bahamas. Only insure for the area you will cruise. Take a boating safety course from an entity like the US Power Squadron. We have also been told that clean driving records can help reduce costs. Consider increasing your deductible. If you feel financially secure enough to accept some more risk, you should be able to reduce your premium this way. Finally, review your liability limits. Do you really need that high of a limit or maybe you are under insured. 4. I hear there are two types of valuation coverage? Yes. There is Agreed Value and Actual Cash Value. With Agreed Value, you will be paid an agreed value by the insurance company in the event of a total loss. Repairs are covered on what is known as “new for old”. Some companies offer Actual Cash Value, where depreciation is taken into account. Obviously, Agreed Value is going to cost more than Actual Cash Value. 5. Aren’t there two different types of policies? You are probably referring to All Risks and Named Perils. All Risk policies are the most common, especially in the U.S., and basically cover everything unless it is excluded in writing. Named Perils is used more in Europe and basically covers listed items only. Stick with All risk policies. 6. Are there optional coverages I should consider? Yes. Most yacht insurance companies also offer personal property, towing, medical, environmental and uninsured boater coverages. 7. Do I have to have a survey when I buy a yacht? For insurance, absolutely. And when you have your survey completed and submitted to the insurance company, they will want you to repair or resolve any primary safety defects mentioned in the survey deficiency list. The insurance company will usually give you a short period of time to accomplish these repairs or updates. The insurance company will also want the surveyor’s valuation for their coverage amount. By the way, the insurance company will not insure your yacht for more than the purchase price, even though the survey might value the yacht for more than you paid. 8. Will my insurance policy cover my charter activity? It is critical that you inform your yacht insurance broker that you intend to charter. There will be additional premium for chartering and a different policy. 9. Is there anything else you recommend regarding yacht insurance? You bet! Communicate with your insurance company! Never give them a chance to avoid a claim! In slower economic times, some yacht owners are considering “yacht hibernation” or reducing overhead by eliminating crew and operating expenses. We keep hearing of cases where the yacht owner has let go all crew and left the yacht at a shipyard or a “reduced dockage cost” location. Check with your insurance company on policy terms for minimum crew requirements and details before considering this option!!!! Also, always send your insurance company a copy of any shipyard repair/refit contract before arriving at the shipyard. Get the insurance company’s written approval of the contract before signing it and arriving at the shipyard. WE bet you will be surprised by your insurance company’s reaction to most shipyard contracts these days! David Allen, Alliance Marine Risk Managers, Inc.
Spencer Lloyd, Frank Crystal & Co. Rob Carron, Marsh USA, Inc.
Fernando J. Vera, Brown & Brown of Florida, Inc.
We receive many questions from customers about financing their purchase of a yacht, so we decided to include a few frequently asked questions and answers to them for everyone’s interest. We are not a yacht finance specialist, but we deal with many lenders in our industry and offer the answers below as a general guideline to help you get started with financing your new yacht. Below the FAQ’s and answers, we have also listed a few recommended marine lenders. 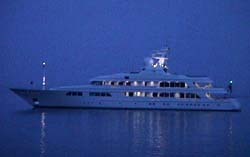 Please feel free to contact them directly anytime for more detailed information on financing your yacht purchase. As always, don’t hesitate to Contact Me for assistance with any of your yachting needs. 1. What borrowing options are available for yachts? Rates and terms are similar to buying real estate or any other financed asset, but we will describe the usual options. We find almost all marine lenders offer simple interest loans, which means you only pay interest on the principal owed. Fixed rate loans: Just as its name implies, a fixed rate loan offers a fixed rate over the life of the loan, so your payments never change. Marine lenders typically offer 20 year fixed rate loan programs, but we see offers anywhere from 10 to 30 years also. Adjustable rate loans: This option usually fixes your rate for so many years and then the rate fluctuates over the remaining term of the loan. The fluctuation is usually limited to a specified range. Typically, we see offers of 3 years, but several marine lenders also offer interest only loans. Some lenders even offer deferred payment, annual payment and seasonal payment loans. 2. How long will it take to get approved for a loan? We find most marine lenders take approximately 24-48 hours after they receive your completed application and associated paperwork to issue an approval. Some lenders have an online application and approval process for smaller loans. Obviously, the more complicated or larger the loan, the longer it will take. 3. Can I get pre-approved for a loan? Yes, and we recommend it. It is extremely rare that sellers accept an offer contingent upon financing, at least on the east coast of the US. This will also help you concentrate your yacht search on yachts within your budget and will make the whole purchase process move along quicker. 4. How much of a down payment do I need? The typical down payment amount is 20%. However, some marine lenders do offer 10% down payment loans and even Zero down loans. At the same time, we have seen a few lenders requiring more than 20% down payment, depending on your particular qualification details. 5. What borrowing options are available for yachts? We see marine lenders offering loans from $15,000 to tens of millions. Some marine lenders do have maximum loan amounts they can finance, but there are plenty of other marine lenders for larger loans. The smaller loan amounts usually carry higher interest rates. 6. Do marine lenders charge application fees? Some do and some don’t, so make sure to shop around. Marine lending is pretty competitive, so you should be able to find a lender who doesn’t charge any application fees. 7. Are all types of yachts qualified for financing? 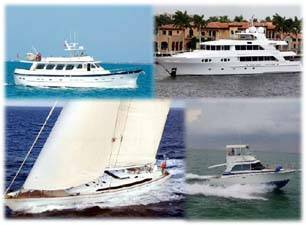 Some marine lenders will only finance fiberglass yachts and most marine lenders will only finance yachts 20 years or newer. However, we work with marine lenders who finance older yachts and also megayachts, high-performance boats, multi-hulls and wooden yachts. We have even seen marine lenders finance boathouses and mooring or dockage purchases. 8. 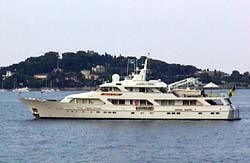 I am thinking about chartering my new yacht. Can I finance a charter yacht? A number of marine lenders will only finance private use yachts. Some others will allow “limited chartering”. There are some marine lenders who will finance charter yachts, so it is important to shop around and it is especially important to be honest and detailed with your marine lender on your intended usage of your new yacht so you end up with the correct loan program. You should also let your marine lender know if you plan to live aboard your yacht or if it is just for casual cruising only. 9. Do I have to own my yacht in my personal name to obtain financing? No. 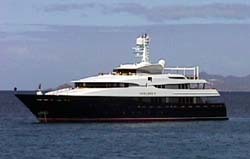 Many marine lenders will finance LLC’s, S-Corporations, trusts and many will finance foreign registered yachts. Of course, they probably will want you to personally guarantee the loan in each of these cases. 10. You mentioned foreign registered yachts above, so I don’t have to be an American? U.S. based marine lenders usually won’t loan to non-U.S. borrowers, unless they own property in the U.S., have a social security number or reside and work in the U.S. However, I work with European lenders and even have sources for leasing options. 11. Does the lender require me to register my yacht in any particular way? Most lenders prefer you document your yacht with the U.S. Coast Guard, which allows the marine lender to file a First Preferred Ships Mortgage. This records the marine lender’s lien with the Federal government. Documenting your yacht with the U.S. Coast Guard also makes it easier clearing in and out of The Bahamas and is usually needed for cruising to other countries. Again, most marine lenders will allow foreign registration of the yacht, especially with popular registries like The Cayman Islands, Marshall Islands and British Virgin Islands. 12. How long is my loan approval good for? We usually see marine lenders offering loan approval terms for 30 days. However, we have seen several offer extensions when needed. 13. 1. Do marine lenders require income verification? Marine lenders used to have “no-doc” or “stated” loan options, but we are told these have pretty much disappeared. Plan on supplying plenty of documentation to justify your loan request! 14. Do I need to have a survey completed on a yacht before buying it? Yes, because we won’t assist you without a survey and sea trial being completed before your acceptance of the yacht! You will always need a survey completed for insurance, and no marine lender will loan you money without the yacht being insured. They also want you to keep your yacht insured while they have a loan on the yacht. We want you to complete a full survey and sea trial completely satisfactory to you, so that you have a better chance of not ending up with any surprises after you own the yacht. See the Survey FAQ’s section on my website for more information on surveys. 15. Are there any tax benefits to financing a yacht purchase? The second home interest tax benefit is still available in some cases, so consult with your own tax advisor on this. Dave Trostle, Sterling Acceptance Corp.
Just like yacht financing and insurance, we get a lot of questions from clients and customers about yacht surveys, so here are some frequently asked questions and answers. We are not a yacht surveyor, but we certainly attend quite a few and have dealt with a lot of yacht surveyors over the years. Feel free to contact any of the surveyors listed below directly, or you can always Contact Me anytime with any of your yachting needs. 1. Do I need a survey? You do if you plan to finance your purchase and your insurance company will want one completed anyway. Never accept anyone else’s survey on a yacht you are considering buying. Always hire your own surveyor who is engaged by you and reports to you. We are constantly asked if there is an existing survey available on the yacht the customer is considering. Never trust a survey completed for someone else, especially the seller. Pay the money and hire your own surveyor. 2. How do I find and hire a surveyor? Choosing a surveyor is like choosing any other professional to provide you with proper advice on major decisions. You should get recommendations, check the surveyor’s credentials and resume and check references, if you feel so inclined. Anyone can call oneself a marine surveyor, so don’t just accept an ad as justification for hiring any surveyor. There are professional societies for surveyors, like SAMS and NAMS, which are good sources for surveyor candidates. You should also check out the surveyor’s website, any brochures or any articles they might have written. You should then interview several surveyors, at least by telephone. You could even ask to see a sample survey report. Finally, you can even ask your marine lender or yacht insurance broker for references, especially names of any surveyors they DON’T accept. 3. Are there different types of surveys? Yes, but the one you need for a yacht purchase is a Pre-Purchase Survey or Condition and Value Survey. This is the most comprehensive type of survey, and it should cover such issues as structural integrity, safety systems, electrical systems, propulsion system, fuel system, any other mechanical or miscellaneous systems, electronics, navigation equipment and overall maintenance and cosmetic appearance. This survey should include a haul out for a full bottom and running gear inspection, and possibly high pressure washing the bottom for a better inspection. The hull surveyor completes all of this, but you can and should also hire an engine surveyor to inspect the main engine(s), generator(s) and gearboxes in more detail. There are also occasional needs for an insurance survey, appraisal survey and damage survey, which hopefully you will never need! 4. How much does a survey cost and how long does it take? Generally, we find most yachts, other than larger Superyachts, cost around $18-20 per foot for the hull survey and about the same amount for the engine(s) survey. It usually takes a full day to complete the survey and sea trial, but the larger Superyacht surveys can take up to a week and cost much more. The buyer usually pays for the survey and haul out of the yacht and the seller pays for any costs related to the sea trial, such as a captain and fuel consumed. Haul out costs are different in each area, so several shipyard options should be checked and compared. 5. What should I do to prepare for a survey? If you are hiring a surveyor for a Pre-Purchase survey, you or your broker need to coordinate with the seller, or the seller’s captain or broker, the time and place for the survey, haul out and sea trial. The surveyors usually prefer to start their survey with the engine room cool, so the mains and gensets shouldn’t be run, if possible, before the survey. The surveyors will normally spend several hours setting up and taking notes and inspecting as much as possible before proceeding to a shipyard for the haul out. Once the haul out is complete and the yacht has been launched, then the sea trial is usually completed. The seller should have the yacht opened up and clean and uncluttered for the survey. 6. Is there anything the survey won’t include? Surveyors usually will not remove any screwed or nailed panels, liners or carpeting, etc… They also usually don’t pressure test tanks or conduct any destructive testing, such as drilling holes, removing paint or gel coat, etc… If any of this is needed for any reason, this needs to be negotiated with the seller. 7. What if the yacht doesn’t “pass” survey? Surveyors don’t pass or fail a yacht. They only report their findings and give recommendations and their opinion of “fair market value”. With this information supplied, you then decide if you want to accept or reject the yacht or renegotiate with the seller. Obviously, the findings and recommendations will also influence whether or not the insurance company will insure the yacht or the lender will finance it. 8. Who gets the results of the survey? You hired the surveyor, so only you get the report, unless you authorize the surveyor to release the survey to anyone else. Obviously, you will need to give your insurance broker and/or lender a copy. We recommend your broker also get a copy to assist you in reviewing the surveyor’s findings and recommendations. Sometimes, if we are negotiating with a seller due to survey findings, we encourage the buyer to provide a copy of the surveyor’s recommendations to the seller to support our request for changes to the original purchase agreement. 9. Should I attend the survey? Yes, if at all possible. we don’t recommend shadowing the surveyor(s) all day. Give them room to complete their work and then meet with them occasionally to get any update. Most surveyors will find you and ask you to look at anything they find that concerns them. 10. Does the surveyor check the rigging and sails on a sailboat I am buying? Some will and some won’t. It depends on their insurance coverage and they usually charge extra for aloft inspection. The sail inventory will usually be inspected during the sea trial or unfurled alongside the dock, weather permitting. 11. What if there are hull blisters? Most blisters are not fatal. Bottom blisters are quite common, expensive to repair and most fiberglass yachts will get blisters eventually. We are not aware of any reliable way to predict if or when a yacht will get blisters. In fact, we have witnessed yachts hauled out one year clean and then the next year blisters are present. Most of the smaller blisters end up being paint or gel coat blisters, while the larger ones usually end up more destructive. We find most surveyors recommend to the buyer not to fix all the small paint or gel coat blisters immediately anymore. They seem to recommend addressing these blisters before you decide to sell the yacht or on the next haul out, but each surveyor is different. Obviously, the yacht sales price should reflect the presence of the blisters and the anticipated repair cost. We would not recommend automatically rejecting a yacht with blisters. Consult with your surveyor about the individual situation on that particular yacht before any final decision. Ed Rowe, Ed Rowe & Associates, Inc.
John Howe, Nautical Services Group, Inc.
Matt Jones, Jones Marine, Inc.
Thomas Eve, Eve Marine Surveyors, Inc. Personal and professional service is what separates Curtis Stokes and Associates apart from other yacht brokerage companies. Curtis Stokes and Associates and we have a proven track record, clearly evident by our large number of repeat and referral clients and customers. Please feel free to CONTACT ME at Curtis Stokes and Associates and start that relationship of quality service, advice, and support, for the successful listing and sale of your yacht.